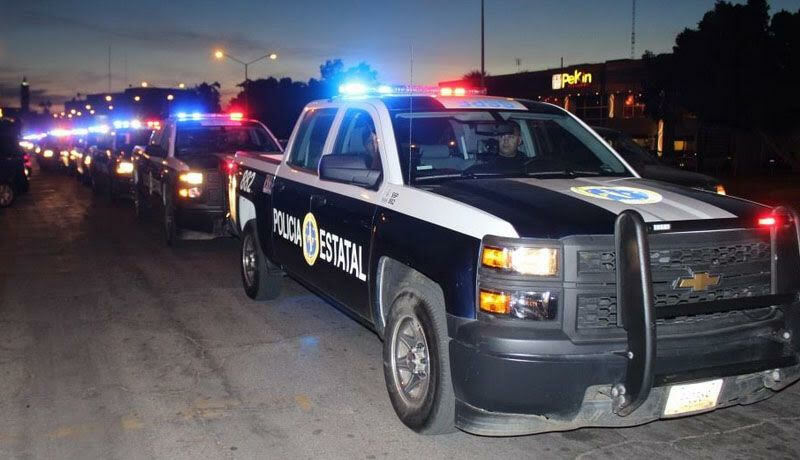 Mexicali: Special operations by the State Preventive Police (PEP) in the Valley of Mexicali against crime in the first semester of the year, resulted in the arrest of 37 people, some of them with an arrest warrants, confiscation of firearms, thousands of doses of drugs, as well as the recovery of vehicles with theft report. In a series of operations PEP has detained a total of 378 persons for various crimes. Choropo, Compuertas Carejey, Hermosillo, Chiapas, Colima, Lázaro Cárdenas, Merida, Pachuca, Guadalupe Victoria, Janitzio, Vicente Guerrero, Oviedo Mota Reacomodo, Ciudad Morelos, Uribe del Real, Benito Juarez, Quintana Roo, Paredones, Bonfil, Hipolito Renteria, Michoacan de Ocampo, Jalapa, Tabasco, Mexico. The results were the following: A total of 37 arrested persons, of which 23 were for federal crimes, 10 for crimes of common law, 3 with arrest warrants or national recapture and 1 with foreign arrest warrant, the main crimes were against health, homicide, carrying a firearm, possession of contraband, injuries equated with robbery and fraud. In the aforementioned period, after the preventive operation, it resulted in the detection of drug outlets and persons identified as drug dealers, and drugs. The drug confiscation included; 62 kilos, 725 grams of drugs and thousands of different doses of: marijuana, cocaine, heroin, methamphetamine and psychotropic pills. In addition, a total of 7 short firearms and 5 long firearms were seized, a total of 449 rounds of different calibers, 15 loaders, 2 knives and 3 vehicles were recovered with a report of theft. These actions are the result of the "Crusade of Security: Everyone's Task" in which it is the instruction of the Governor Francisco Arturo Vega de Lamadrid that the State Preventive Police does not lower its guard against crime. Baja es de Rene. Que se fue de Mazatlan. Ivan Archivaldo lo respeta mucho. Sounds like Mexico is becoming the biggest consumer of their own narcotics . Well it's about time maybe when the killing stops we can have one hell of a party ! Our treat !!! El quinto mes sigue al mando. Antrax Commandos limpiando la plaza. I wonder how many of those 37 detained people are inocents, Everybody in BC know how PEPOS works.. and by the way did somebody knows about the "Narco Manta" in Mexicali signed by CJNG hanging on one of the city's bridge..
Mexico is one hell infested, with Cartels wanting to take over. Mencho is the new Hitler.